Your badges are a vital part of your event. Ensure you make a great first impression with our range of event badges and passes. 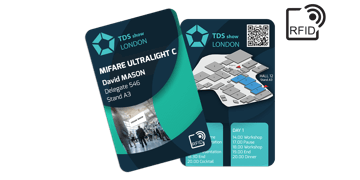 Whatever your need from an event badge, whether it's the ability to include barcodes for visitor tracking or full credentials passes, our event specialists will work with you to provide the exact solution you need - on time and in budget!